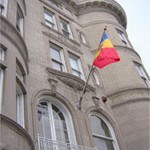 Embassy of Moldova in D.C. Favorable geographic position of the Republic of Moldova, exceptional quality of its soil, qualified labor force, scientific and technological potential, good fiscal incentives, make Moldova a good location for foreign investments. The United States of America are one of the main investors in Moldovan economy. According to the National Bureau of Statistics of the Republic of Moldova, the United States foreign direct investments in Moldova, represents 3.2% of all foreign direct capital invested in Moldova, and placing itself on the 10th position. The United States invested mainly in Moldovan economic sectors such as agriculture, food processing industry, wine industry and telecommunications. There are over 200 enterprises with American capital in the Republic of Moldova. The major companies with US capital are, Dyonisos-Mereni, Green Hills Base, DAAC Hermes Group, Alba JSC, Acorex Wine Holding, Lion-Gri, Sun Communications, Horizon Capital, Liar etc. 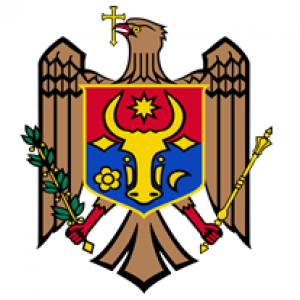 Following is the list of some useful links to access more information about the investment climate in the Republic of Moldova, systematized by the Moldovan Investment and Export Promotion Organization. If you are looking for private companies in order to create partnerships with the Moldova business community you can access the web page of the Chamber of Commerce and Industry of the Republic of Moldova (www.chamber.md) or American Chamber of Commerce (www.amcham.md). Contacting the Embassy of the Republic of Moldova to the USA (economic affairs section), you can receive more information on the ongoing investments projects in Moldova and the proposed projects for financing. The Government puts an emphasis on foreign direct investment as key factor in economic development. Moldova is particularly interested in attracting investments in sectors such as: hi-tech, road construction, textile, technical and remote services, renewable energy, wine industry, organic food production, cosmetic industry. The Government of Moldova will act fast to solidify and consolidate the reform process in Moldova in order to create a favorable climate for investors. The legal framework of the Republic of Moldova guarantees the inviolability of investments by all physical and legal entities. Key legislative provisions includes the supremacy of the international law, market economy and guarantees the right to private property, provisions against unjust expropriation and confiscation of property. 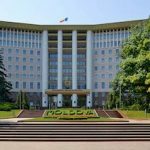 In order to advance the development of the Moldovan economy, the Government of Moldova is currently implementing the Investment Attraction and Export Promotion Strategy for 2006-2015. Main goals of the above-mentioned document are to increase the volume of foreign investments in our economy, modernize and restructure the national economy, create new innovative sectors, reduce regional and structural disproportions in the development of the Moldovan economy. 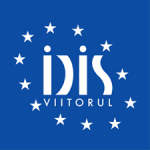 Moldova has signed 40 bilateral agreements concerning the promotion and mutual investment protection. Being a trustful partner of the US, and pursuing the objective of creating new opportunities for US-Moldovan business community, on October 9, 2010 the Minister of Finance of the Republic of Moldova, Veaceslav Negruta and Overseas Private Investment Corporation Executive Vice-president, Mimi Alemayehou launched the signing of the Memorandum of Understanding between the Government of the Republic of Moldova and OPIC. According to the provisions of this MoU, both parties will create a joint working group in order to attract US investments in the Moldovan economy, promote OPIC enterprise development network and create new business bridges. On the other hand, Moldovan Investment and Export Promotion Organisation will develop a portfolio of potential projects that are suitable for presentation to potential foreign investors, and desires to undertake to locate eligible U.S. investors for eligible projects, and OPIC desires to receive and consider such eligible projects for financing and/or insurance, and would be ready to initiate the appropriate application process. The main national legislation which regulates the foreign investment legal framework is Law on investments in entrepreneurial activity no. 81-XV from 03.18.2004, Law on limited liability companies’ no. 135-XVI from 07.14.2007, Law on Join stock companies no. 1134 from 04.02.1997 and updated by the Law no. 1134 from 07.13.2007. 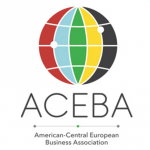 Honorary Consul Attends American Moldovan Business Council Meeting in Washington D.C.